Unapproved timesheets are not visible on the Payroll report. Unapproved timesheets are denoted by diagonal background lines. You can approve or unapprove a single timesheet and multiple timesheets within a date range. To approve or unapprove a single timesheet, click on the timesheet, toggle the Approved option, and submit the form. 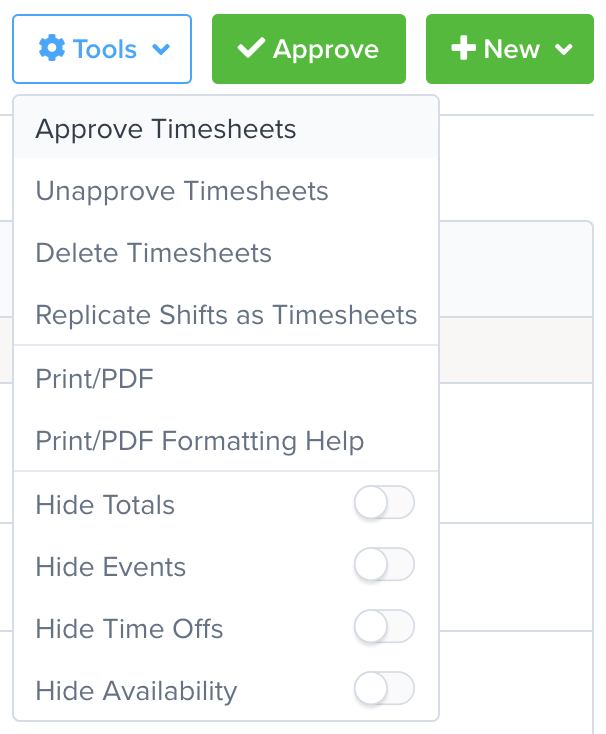 To approve multiple timesheets, click on the Approve button, or click on the Tools drop-down and click the Approve Timesheets or Unapprove Timesheets options. You should then see a pop-out like the one below. Select the date range you would like to approve or unapprove (this should default to the range you are viewing). 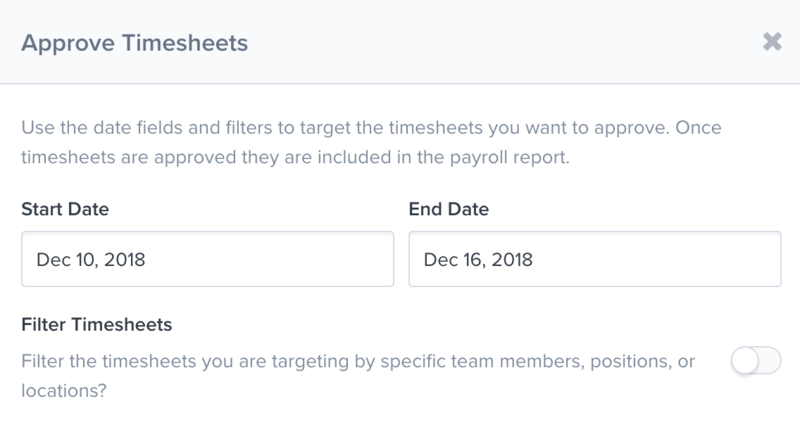 Filter which timesheets you want to approve or unapprove by positions, locations, and employees. By default, any filters you have set will be selected. Once you submit the form, the timesheets for the date range you selected will be updated.